You have a lot of options when it comes to finishing your pool. 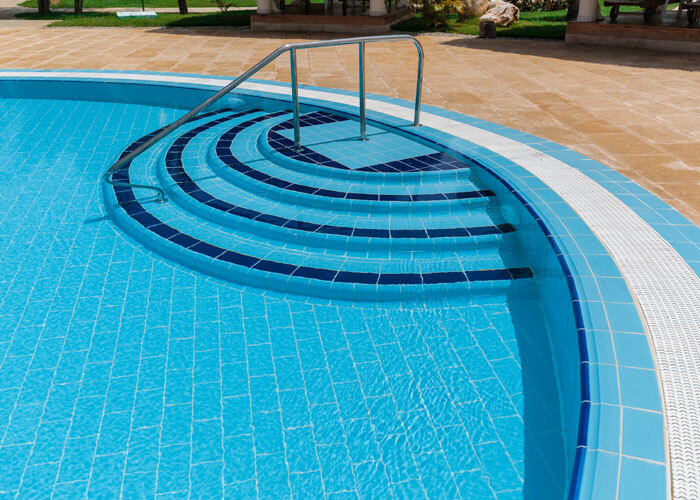 Whether you choose the classic look of plaster, a budget-friendly pool liner, or pool tile, it’s a good idea to consider not only the upfront cost but also the swimming pool maintenance and expected lifespan of the finish. Here’s a quick look at your options and what to expect. Plaster is the most common pool surface finish in Las Vegas and it’s made by combining water, cement, and silica sand or marble dust. 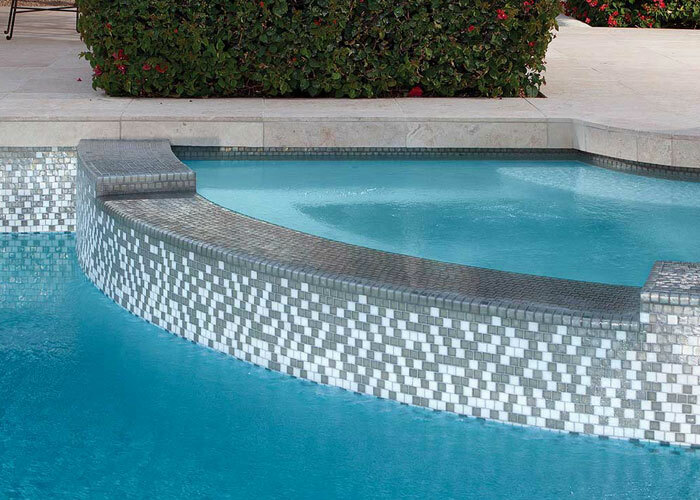 White plaster gives your pool an ultra-smooth and timeless appearance that will always remain in style. Plaster can also be customized a bit with dyes and pigments that add new dimension or it can be combined with glass tiles. While affordable, plaster usually only lasts 5-7 years before it begins to etch and chip. With a plaster pool, swimming pool maintenance will be fairly frequent. 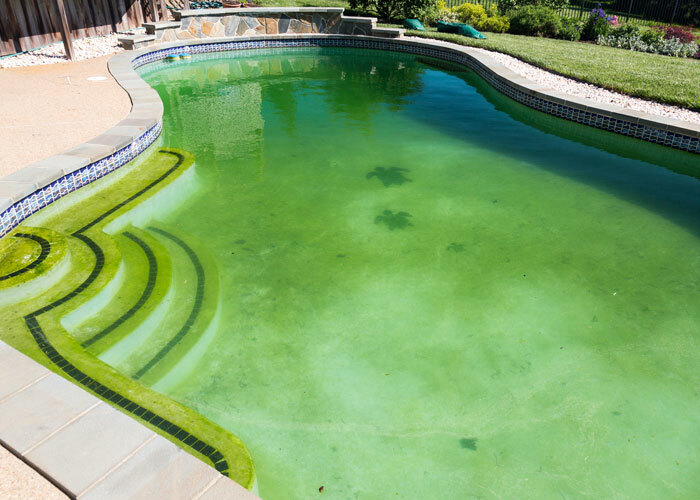 Because plaster allows algae to grow and hide within the pores, regular pool cleaning services will be necessary. Your pool will require acid washing every few years to remove hidden algae. Pool cleaning will also be necessary to address stains and scale on the surface. Aggregate pool finishes are a newer option and made from plaster mixed with aggregates like glass beads, river rocks, or tiny bits of granite or quartz. Aggregate finishes offer better resistance to chemicals and staining with a greater amount of customization. The aggregate also offers better traction to the surface. You can expect a pool aggregate finish to last well over a decade or two. There are a few maintenance issues associated with aggregate finishes. The most common issue is scaling or a white haze on the surface. The aggregate and plaster can also form algae, etch, and stain over time. Regular swimming pool cleaning is the best way to avoid premature damage to your pool finish or the need to drain the pool to remove scale. A pool liner is essentially a sheet of vinyl that’s installed between the walls of the pool and the water. 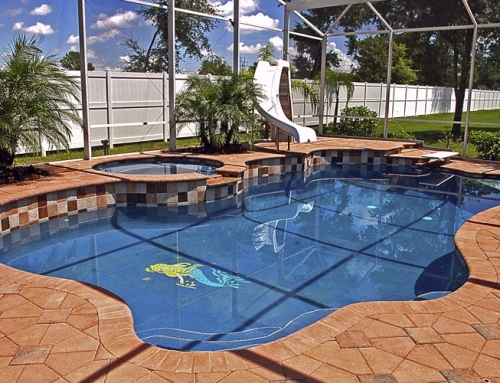 Today’s pool liners are much more attractive and durable than liners of the past. As a general rule, a vinyl liner will last anywhere from 6 to 15 years with care. Vinyl offers a smooth interior finish for your pool but maintenance is required. You will need to take care to avoid puncturing or scratching the liner and it won’t be compatible with a salt water system. Your vinyl pool liner can develop a water line of grime, dirt, and scale that requires regular pool cleaning to prevent damage. 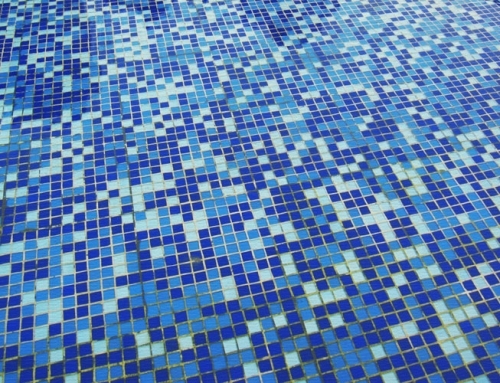 One of the most durable and long-lasting pool finishes is tile. 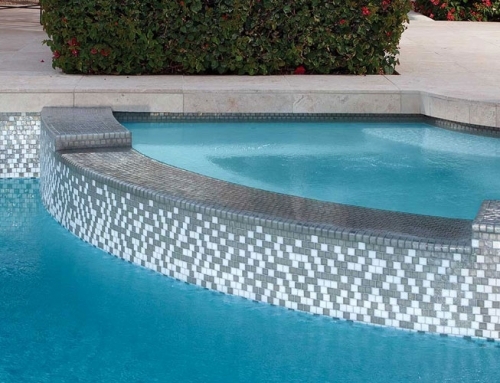 Pool tile can be applied to the waterline, steps, or floor as an accent or to the full interior of your pool. While tile is the most expensive type of finish, it can last a lifetime. It’s also easy to get the exact look you want with ceramic, stone, porcelain, and glass tiles in every color, style, shape, and size you can imagine. While beautiful, regular pool tile cleaning is necessary to keep your tile accents looking their best. 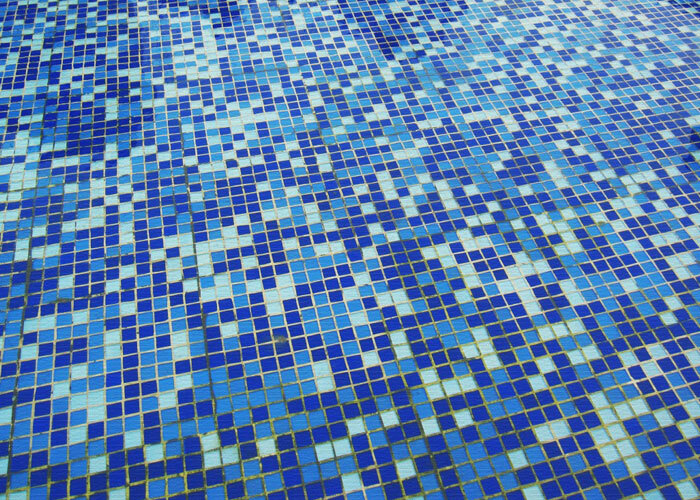 Scale buildup is a problem with tile, especially waterline tile, and it requires that you stay on top of swimming pool cleaning. You can either remove scale buildup yourself the old-fashioned way, which can take hours, or schedule professional bead blasting that safely removes even thick scale deposits on tile.